A finance service that's hard to duplicate. Today's technology in photocopiers has changed, so has business finance. Which is why you need to talk to a Fidelity Finance Group business finance specialist when contemplating an upgrade. So while other finance providers may claim to understand the needs of small to medium business, Fidelity Finance Group clients say we're a breath of fresh air compared with the major banks. Our service can't be copied. Firstly one of our business finance specialists will visit you, to get to know your business and your future plans. Then we'll source business finance in from over 20 lenders. Our dedicated rental division can also offer a photocopier rental finance that will allow you to keep up with the newer technologies as they come to market, while offering finance for a state-of-the-art model right now. We can also offer a range of business loan solutions optimised to suit your unique needs. With over $350 million in loans written annually, we have the muscle to deliver competitive solutions, time after time. A complete portfolio of benefits. We pay the supplier, you take delivery of the photocopier, it can be as easy as that. 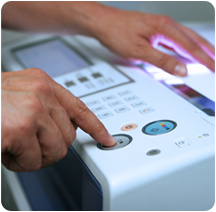 Complete a Photocopier Finance application now, without obligation, click here. Or phone +61 (2) 9212 0799 to talk with one of our business loans experts.